* NOTE: Not all candidates may represented, as the corresponding data may not yet have been made available. Maybe 3 This candidate has a strong record on right to life, see footnote 6, but does have a tendency to try be all things to all people, see footnotes 1, 2 3 for more information on his votes on gun rights and intraparty spills. NO! This candidate tries to be all things to all people. See footnotes 4 and 5 for more info. NO! 8 Andersen is the Establishment's hand-picked candidate to succeed Kirsten Hughes as MassGOP Chairperson. Andersen also flirted with a bid to succeed Jen Nassour as MassGOP Chairman after her 2011 resignation, before endorsing Romney Operative Bob Maginn's bid as MassGOP Chairman. See footnotes 8 and 9 for more info. 7 Jim Lyons prevented us from having a gender "X" on our driver's license at the end of the last session. He did what was right without regard for his House seat. Thumbs up if the candidate votes to lower taxes and balance the budget. 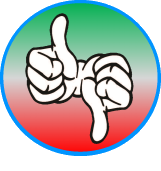 Thumbs down if the candidate is a tax and spender. Thumbs up if the candidate supports morality. Thumbs down if the candidate supports the LGBTQ agenda. Thumbs up if the candidate supports the rights of the unborn. Thumbs down if the candidate supports abortion on demand. Thumbs up if the candidate supports the 2nd Amendment. Thumbs down if the candidate supports limited gun ownership. Thumbs up if the candidate believes in enforcing our borders. Thumbs down if the candidate believes in open borders. Thumbs up if the candidate believes in smaller Constitutional goverment. 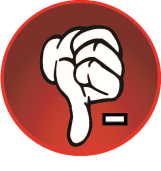 Thumbs down if the candidate believes in a big government utopian nanny state. 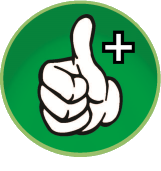 Thumbs up if the candidate usually supports other candidates that support constitutionalist moral values conservative platform in a primary election and refrains from overtly supporting left-wing values parties (Democratic Party and the Green-Rainbow Party) candidates in a general election. Thumbs down if the candidate usually supports other candidates that do not support their party's constitutionalist moral values conservative platform. Mixed if the candidate's endorsement body of work includes a relatively even mix of supporting constitutional moral values conservative candidates and non-constitutional moral values conservative candidates in those applicable contested primaries. What is a "Values Candidate"? - A Values Candidate is a candidate who believes in and supports values by their words and deeds, and has demonstrated that if elected, will carry this ethic with them into service in public office. What are "Values"? - In this case, "Conservative" Values; but, this term has been very much purposely maligned and misrepresented. A Conservative is NOT a backward self-righteous fundamentalist racist bigot, as socialist advocates would have you believe. Using this moniker is as absurd as pinning a false label on someone who is not what they are, and attacking them on that false basis. A Conservative is someone with common sense, like the common sense to know that if a candidate up for election were to promise the voters a free "chicken in every pot" from the government, that that politician is actually promising to raise the taxes of some to redistribute their stolen wealth to others to pay for it. A Conservative recognizes that a nation cannot exist without some form of government, but wish to have that government only be as large as it needs to be to carry out its minimal function, facilitating the maximum liberty of the individual. A Conservative believes that individual rights are more important than collective rights, or this country will no longer be a republic, but become a lynch mob democracy of two wolves and a sheep voting on what's for dinner. A Conservative agrees with John Adams when he said that "Our Constitution was made only for a moral and religious people. It is wholly inadequate to the government of any other." This is because voting to steal from others to support socialist programs by raising taxes is not the mark of a moral or a religious person. A Conservative believes that moral and religious (specifically Judeo-Christian) principles are what made this country great, what will make this country great again, and what will keep this country great. 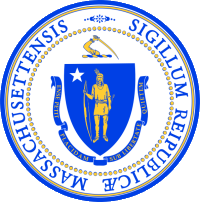 Our recommendation is to click the on the Massachusetts State Seal to the left. It is a link to the Secretary of State's web site. From there, after you enter your address, you can find your voting districts, polling place, and view a sample ballot. What if I'm a candidate? If you have suggestions for improvements, please click the button to the left to e-mail them to us. If you wish to present us with evidence for a correction, we also welcome your input, and we apologize for any inaccuracies. After verifying your claim, we will make the correction as soon as possible. 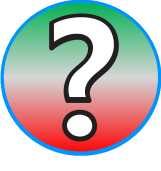 Candidate positions and information listed on WikiVote.net is based upon the best public information available at the time of posting. This includes voting records, questionnaires, public statements, candidate endorsements, other candidate comments, and other public sources.